Respect and Love both things should everyone need in this world. There are some nice saying words that ‘if you give respect and love so you will get respect and love in return.’ Mostly we are respecting them who are elder than us and yes we all are respecting our Mom - Dad and family. The most important thing in relationship is also respect and love, if you respect your partner they will respect you and their love will grow more and more day by day. If you will show respect to others they also should respect you, so be nice to all and respect to all they will give you back what you will give them. 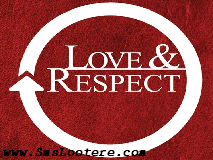 Here are a good collection of Quotes about respect and love from SmsLootere.com team. Respect Your Parents at Any Age. The World Talks to the Mind. Respect is for Those Who Deserve it, Not for Who Demand it. Respect Others. Help Others. Love Others. There are the Keys that Unlock Our Soul. But Those Who Know How to Respect the Beauty of Others. 2nd – Respect the Differences. Without Honesty, Love is Unhappy, Without Trust, Love is Unstable. A Perfect Relationship takes a lot of Practice to Work. A lot of Sacrifice, Pain, Regret and Honesty. Most of all, it takes a lot of Respect. I Think that is a Good Relationship, we Got Two Partners. And the other is called to Respect Her Husband. 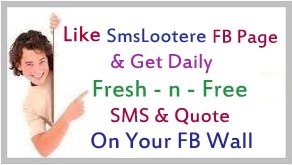 Relationship Sink when they have too many Passengers. So why Mess with One that’s Already been Caught. Without Respect, there no Love. Love, Sadness, Happiness, Truth, Faith, Secret & Respect.